PWW’s (Parker Warner Wright, creator of 11BX1371) Facebook account resurfaced after having been unpublished for some time. Then on Apr 7, 2019 a new creepy puzzle video was released on PWW’s Youtube channel. It was published with the title “11B 45 1T8” and description “Synesthesis”. It’s going to be interesting to see what PWW has come up with this time. After a long period of silence he has at least confirmed that he hasn’t quit making creepy videos. While this new video ’11B 45 1T8′ has the same style as the previous videos this one feels a bit different. Possibly more mystic rather than creepy this time. It appears that the video was first published with a different description. So far I haven’t heard from anyone who is solving the puzzle. I’ll be reaching out to see what is going on, and feel free to contact me if you know anything. 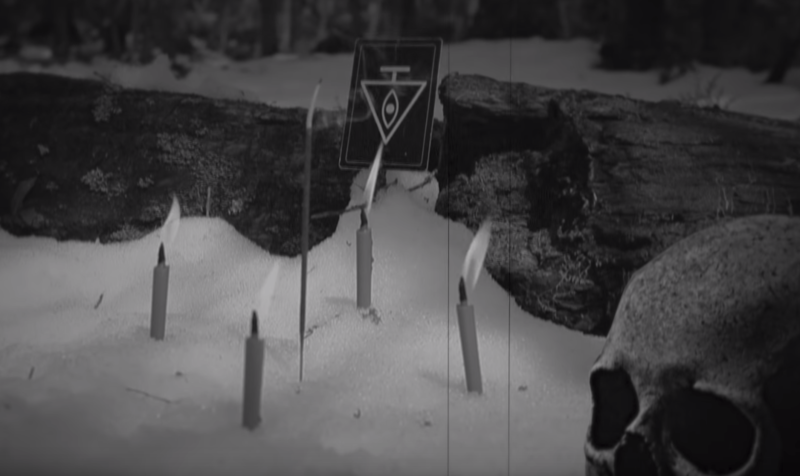 The new video appears to have been filmed in Aokigahara, also known as the suicide forest. Because many people go there to commit suicide. This mainly comes from the fact that the video was tagged with that location. Here is a spectrographic analysis of the video. Always the first step with a PWW video. Another video shows an oscilloscope that was gathered from the video. So far I don’t have anymore information about that. But it’s an interesting new element. Thanks to Deadbeats Productions for these videos. Stay tuned for more. This time I won’t be publishing all the uncovered parts of the video since that simply takes too much time. However, I will keep track of major developments and when ciphers are solved.